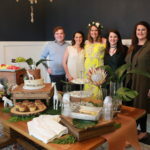 At the beginning of March, a few friends and I had to the opportunity to shower a dear friend and her baby boy who is due to arrive this spring. 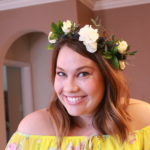 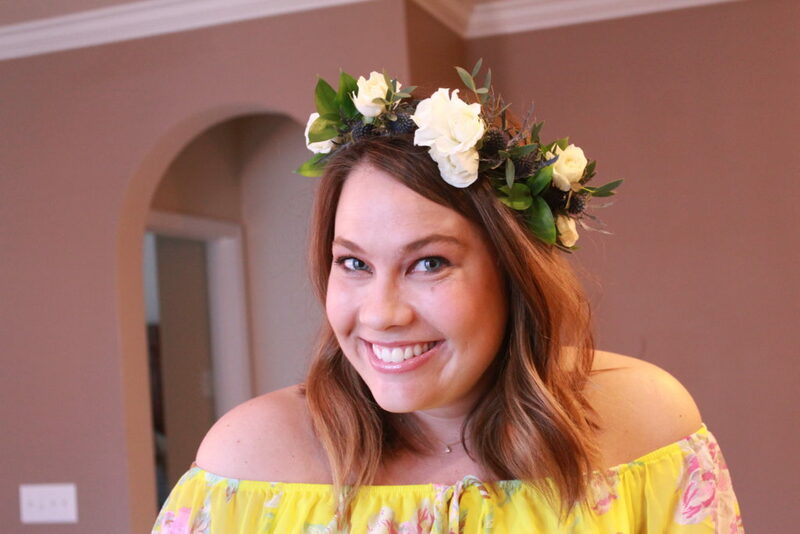 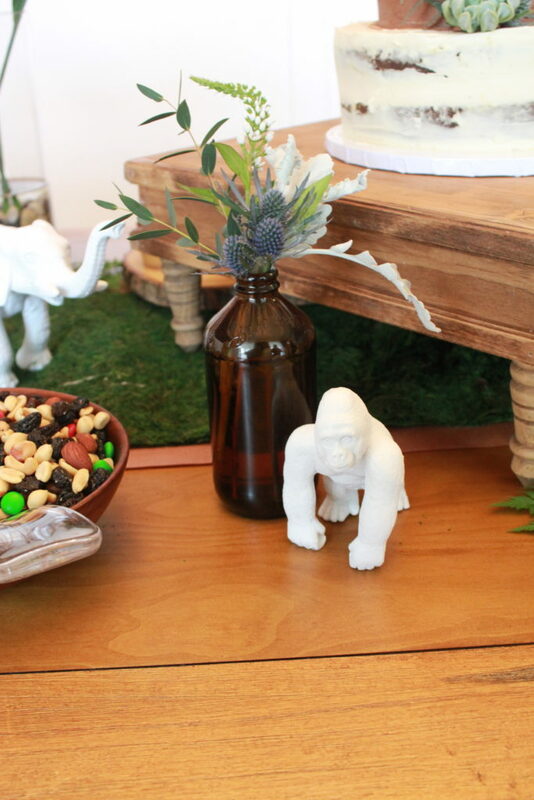 The mom-to-be is decorating her nursery in a modern jungle theme, so I took that idea and ran with it. 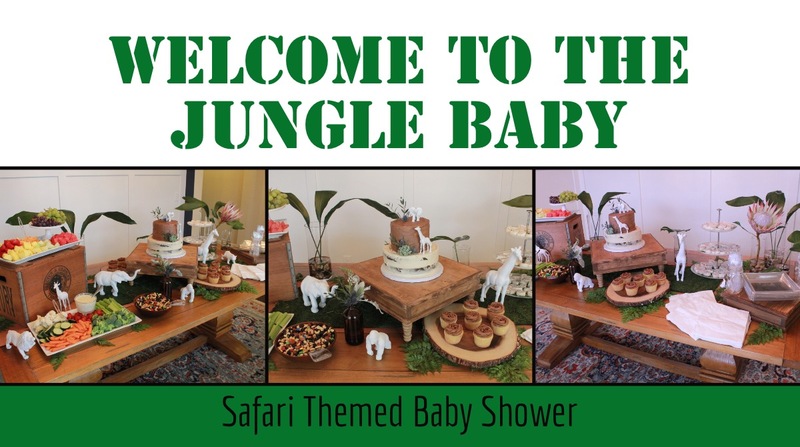 With the event theme being Jungle Safari, I wanted it to have a natural ambience. 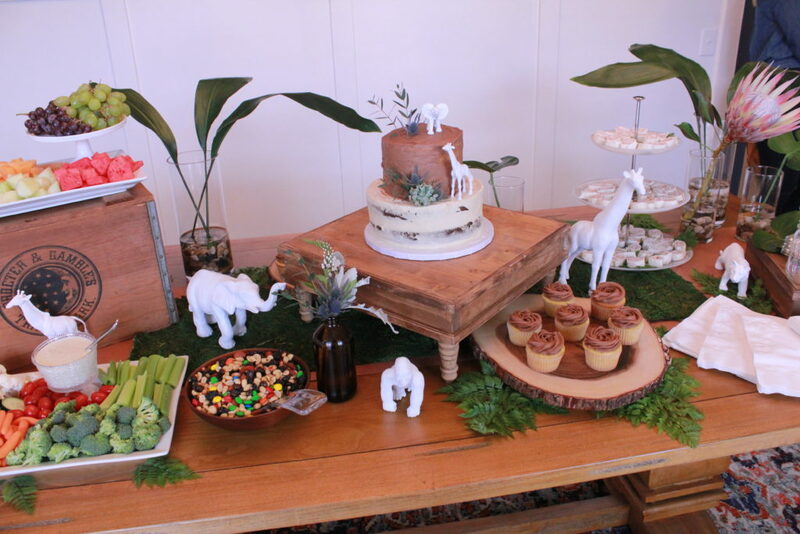 I chose a palate of emerald, white, and brown. 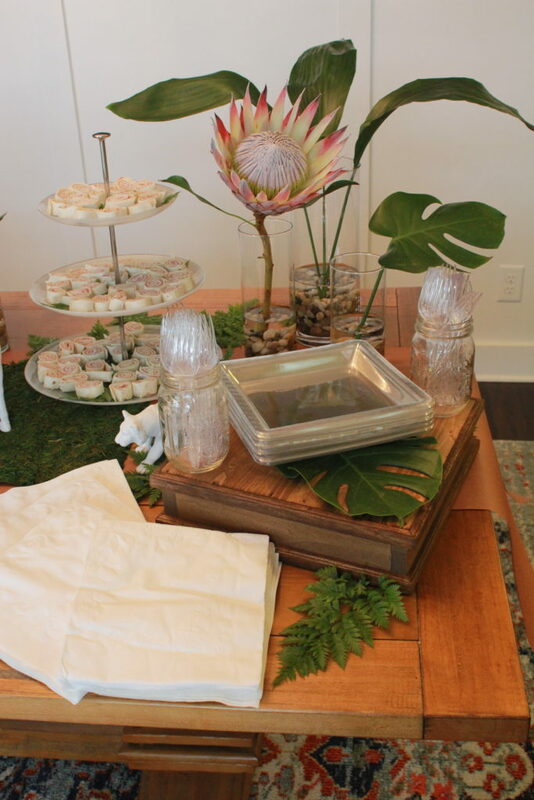 This color scheme allowed me to keep the natural elements of greenery and leaves as well as used stained wood. 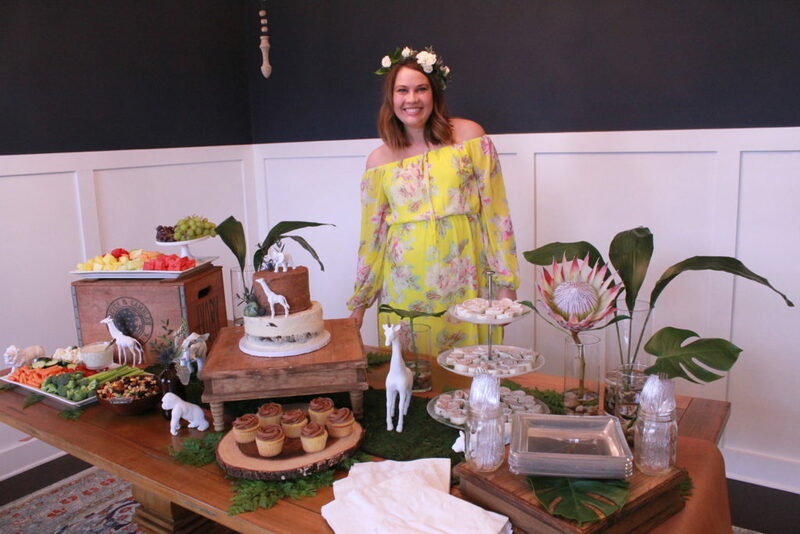 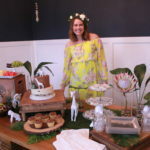 Since this was a shower for a baby boy, I did not want the floral design to be too "over the top" and frilly; however, I did still want there to be that exotic feel. 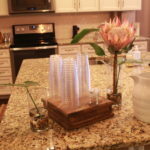 Thus, my decision to use those gorgeous and curious King Proteas. 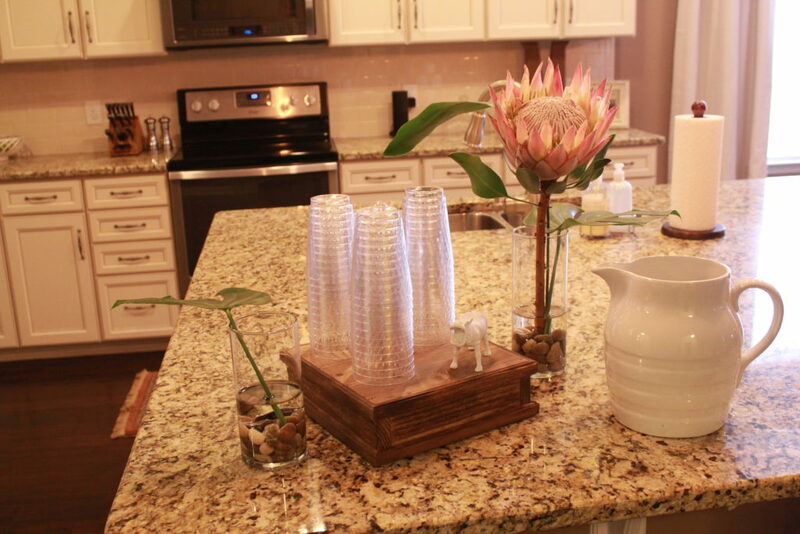 A more modern approach was taken, using cylinder vases with single stems. 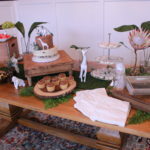 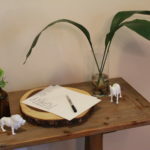 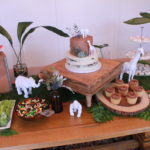 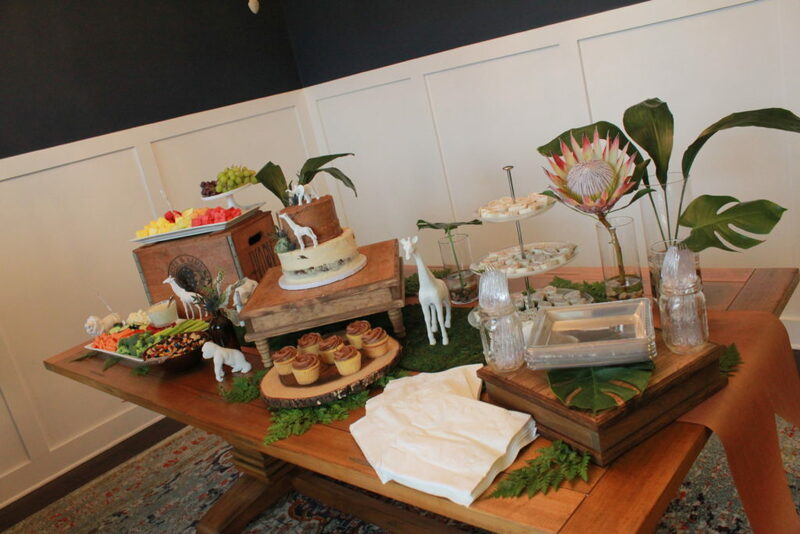 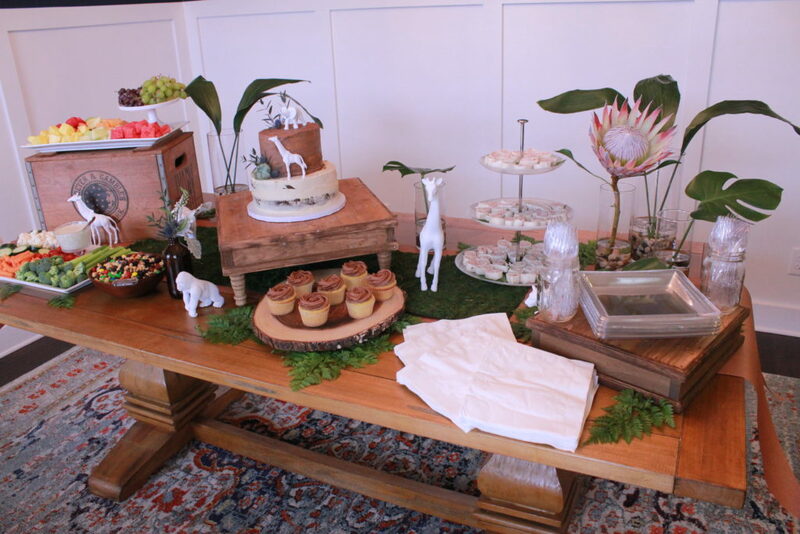 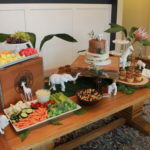 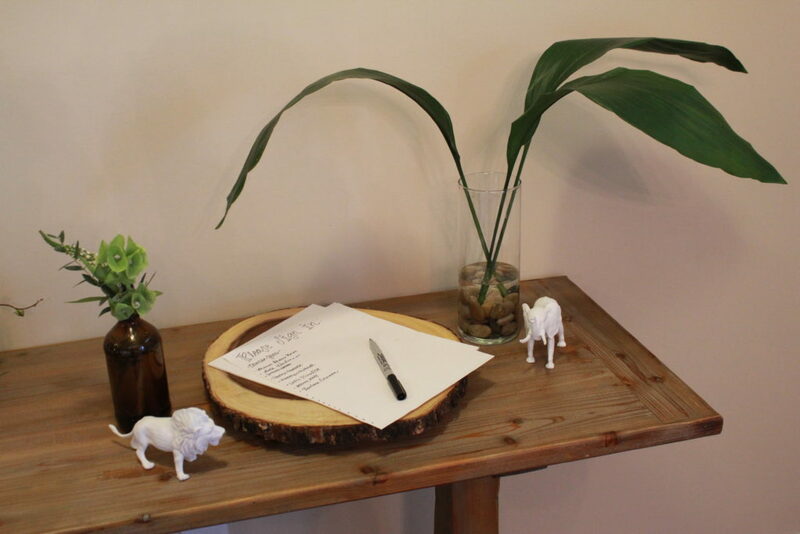 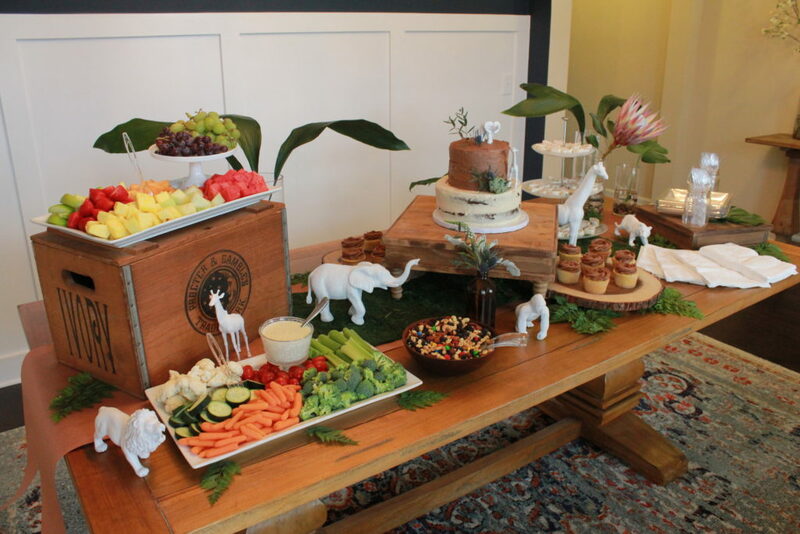 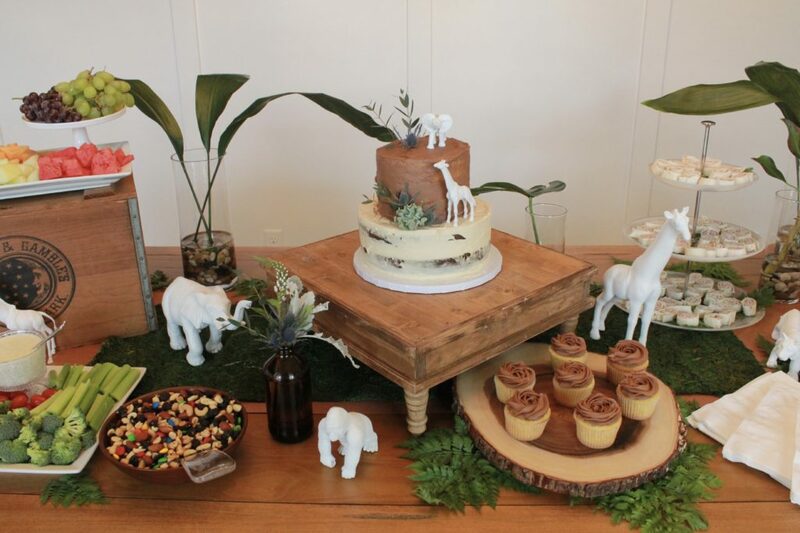 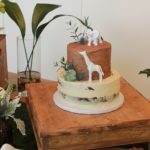 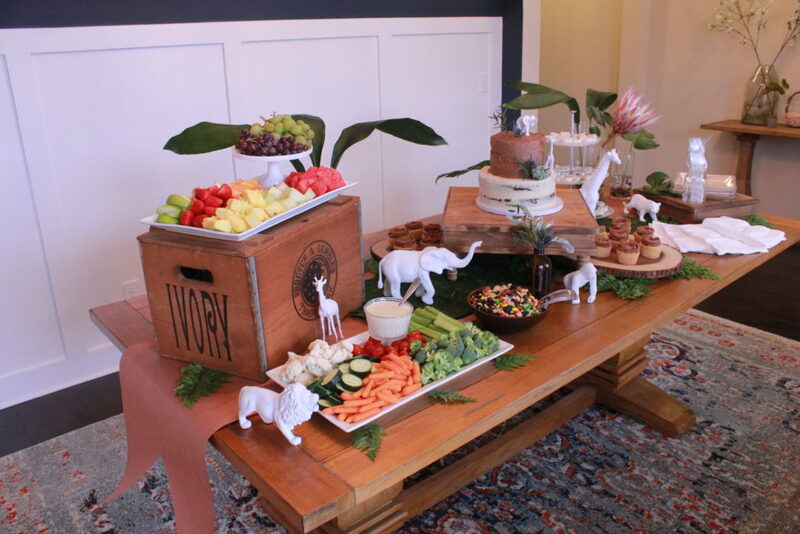 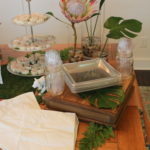 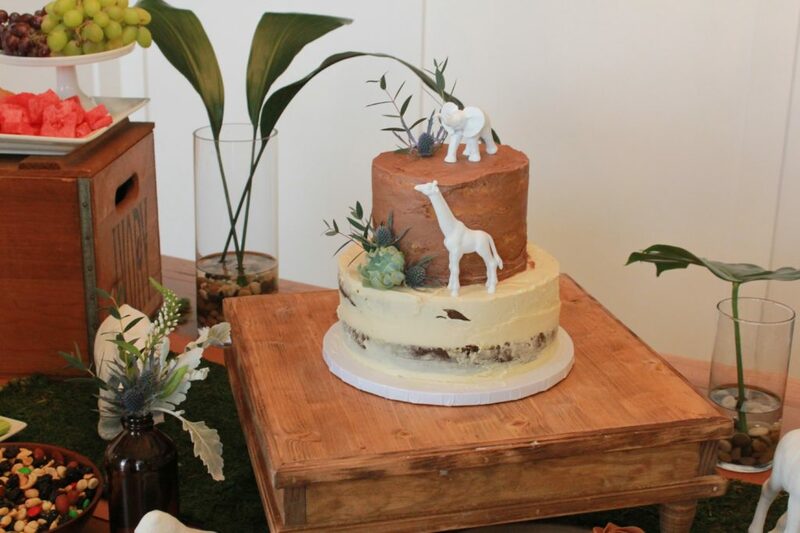 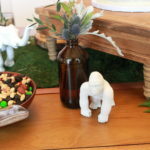 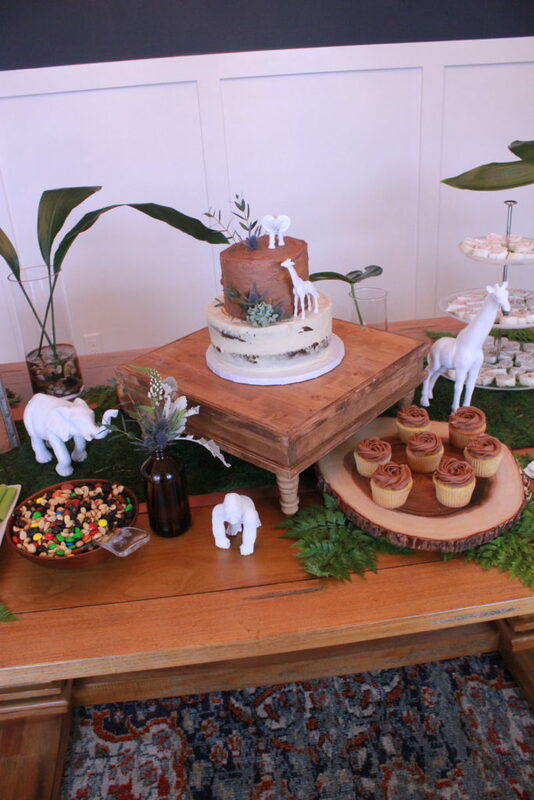 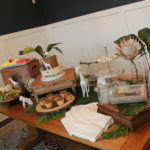 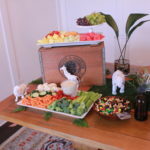 Probably the most fun part of preparing for the shower was collecting the various animals to use throughout the venue. 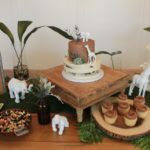 Wanting all of the animals to have a uniform look, I chose a matte white finish for them. 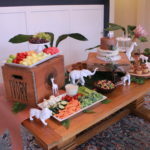 There were some animals that I did not ever find on my safari adventure, such as a rhinoceros or a camel. 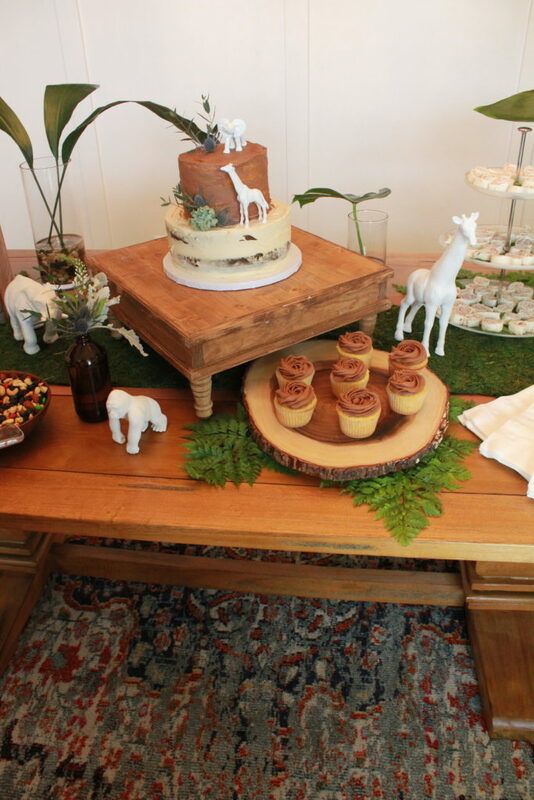 Last but definitely not least, what is a party with out a DunkBakes cake? 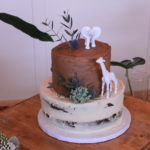 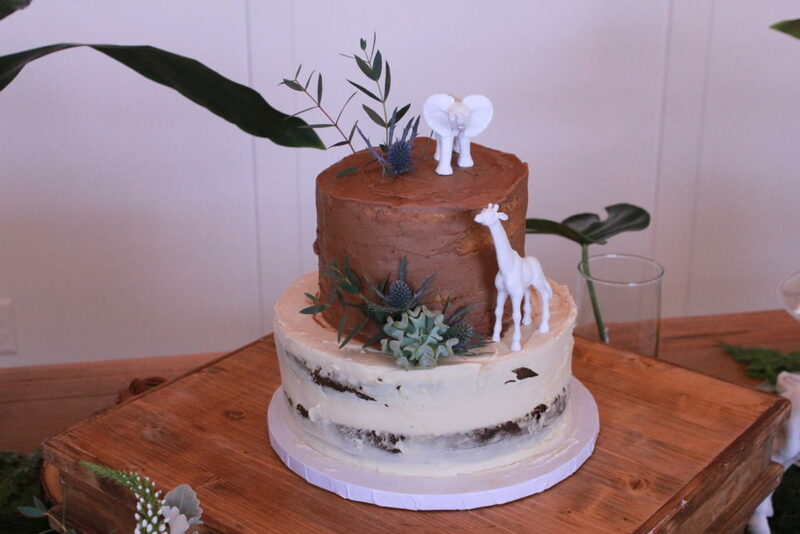 I wanted the cake to have boho chic feel. 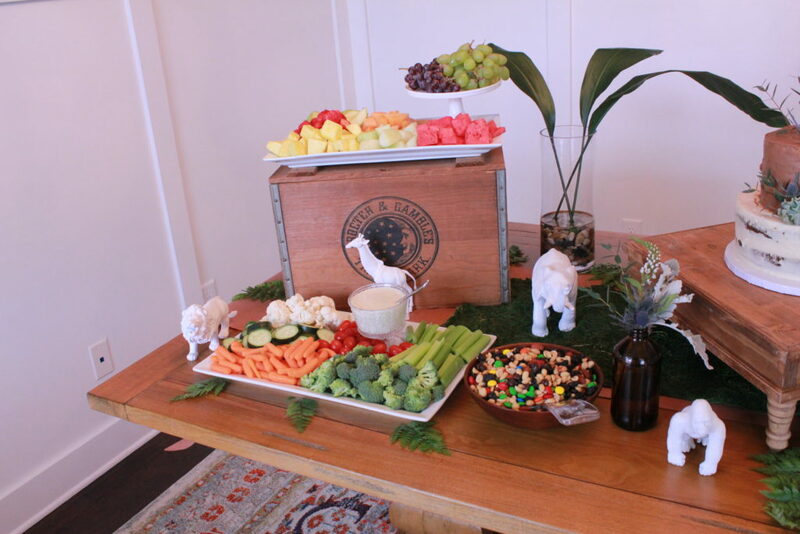 Knowing the mom-to-be’s favorite flavors, the choice was easy. 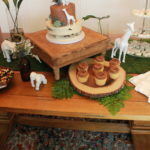 The bottom tier was the signature DunkBakes dark chocolate caramel cake, her ultimate favorite. 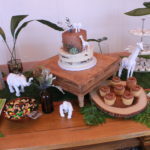 The top tier and the cupcakes were yellow cake with chocolate buttercream. 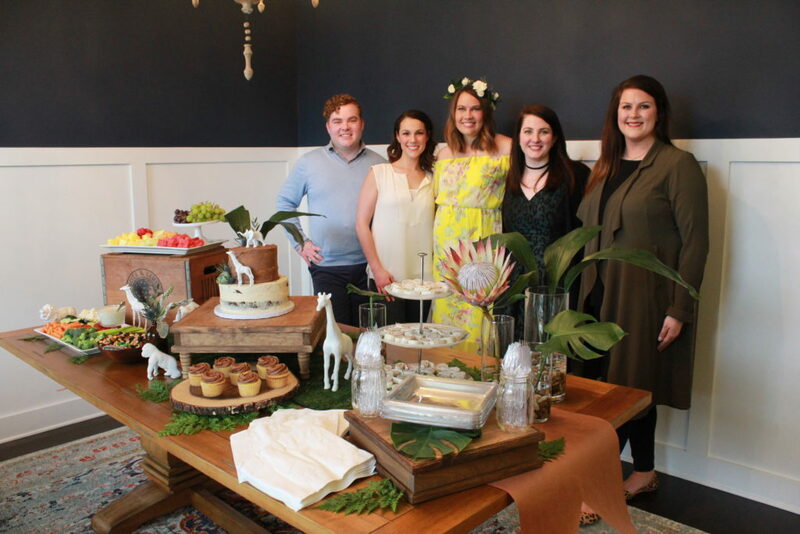 A big thank you goes to my co-hostesses who allowed me come in and take over with my design plan.